Charming well-maintained/well built brick Home in the Heart of New Paltz Village. 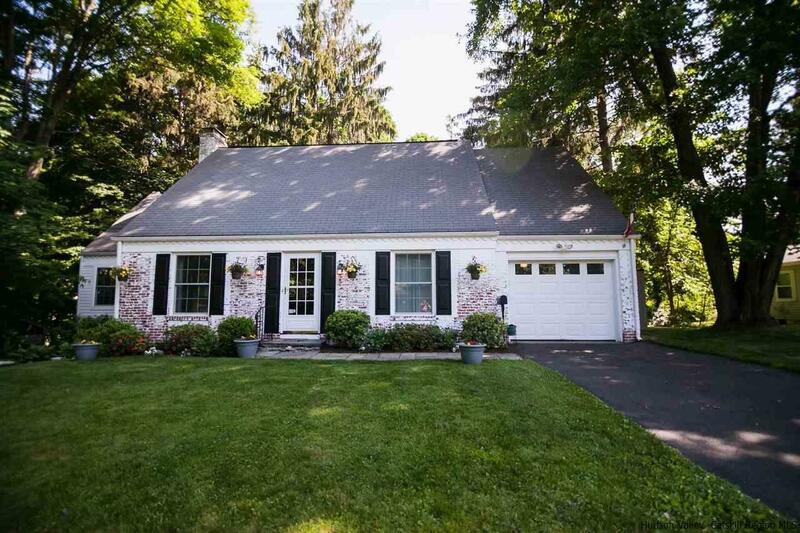 It's about...Location, Location, Location...in a quiet, wide open street with lovely neighbors, which is walking distance to SUNY New Paltz, village shopping, places of worship, fabulous restaurants and Trailways bus depot to NYC and other NYS locations. It's one mile to NYS Thruway exit 18 just one exit north of nearby I-84. Minutes away from the Mid Hudson Bridge and Poughkeepsie train station for access to Metro North and Amtrak. The home is also zoned for legal rentals (very successful on Air bnb if desired). This exquisite 2 story Cape with dormer with 8 foot ceilings in all rooms includes: 3 spacious bedrooms: Master bedroom on the first floor, 2 large bedrooms with bonus room upstairs, 2 baths, LR/DR, large laundry room, three season enclosed porch, an a attached garage w/ remote opener. Other indoor features include: Pella double insulated, large double hung windows throughout for lots of natural lighting. An upgraded 200 amp service electrical system which supports recessed lighting in LR/DR/Kitchen w/ dimmers and under counter lighting in kitchen. There is oil hot water heating with high quality cast iron baseboard and well maintained new furnace in 2013. A cozy, working wood fireplace adds warmth and charm to the home along with crown moldings in all rooms, chair rail molding in LR/DR area. There are wood floors throughout and ceramic tile in kitchen and enclosed porch room. A space heater works very well on the porch for winter gatherings. The kitchen has been updated and includes new stainless appliances which then leads into a very large laundry room with Maytag washer/dryer and an additional wall of cabinetry/ pantry including a convenient pull down ironing board. The home features many large closets and very large indoor storage spaces and all with overhead lighting. There's a 1/2 basement to house the furnace, oil tank and work bench with a large crawl space for additional storage. Outdoor features include: a Double driveway suitable for 5 cars, an in-ground sprinkler system in front/side yards and a backyard adorned with trees and a large lawn.